Participating in Interzum Cologne fair, BKB Mobilya made an influential international promotion of its products. 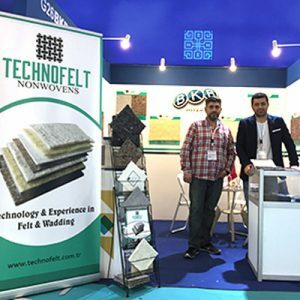 We met with Enver Gözüpek, general manager of BKB Mobilya and talked on their products that exhibited in the fair, including hard felt, thermo-bond felt, padded felt, wool and cotton pads. He said that exports would speed up to 70% by the end of 2017. How was Interzum Cologne 2017 for you? Did you get what you expected? As is known Interzum Cologne is held biannually. This increases the interest in the event. This is a very important fair from the standpoint of bringing especially all European manufacturers and wholesalers together. We witnessed a huge participation in the fair. Our booth became a focus of interest by mainly European and from many other countries of the world. We had a chance to meet our existing customers as well as new prospective customers. We furnished them with detailed information about our firm and products. We will continue to participate in foreign fairs. First, may we know about yourself and your firm? 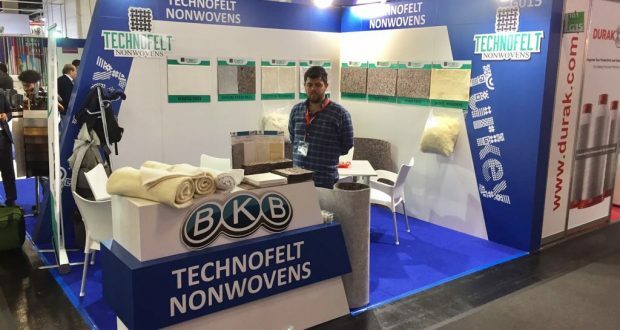 BKB was established in 2010 in Kayseri organized industrial zone and was registered its trade marke as Technofeld Nonwoven in 2015. 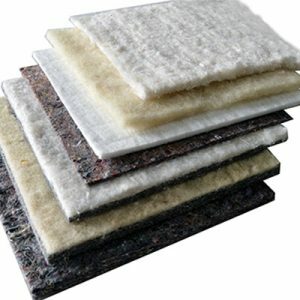 The facilities are for the production of non-woven stuffing materials in the categories of hard felt, thermobond felt, padded felt, wool and cotton pads, all are environmental friendly. Will you furnish us about your production process? How many people do you employ? How large is your annual production capacity? Products are made of several materials natural, synthetic or recycled to meet the changing needs of certain customers. All of them are subject to flexibility and durability tests and are produced on modern combing machines and thermo binding technology. 30 people are employed in machine based production process, which is able to produce 7 thousand tons of felt and one thousand tons of paddings. We have several quality certificates, including ISO 9001:2008 / ISO 14001:2004 / OHSAS18001: 2007. What is important in your product design? We design the products by analyzing our customers’ needs, and learn about where they will be used. Our products may be arranged and produced at certain sizes, either as rolled or specially cut forms, either soft, hard or flexible, thick or thin. At the same time, the appearance of products may be adjusted to the choice of the buyers. Will you please mention about your foreign trade activities? How do you evaluate the German market? 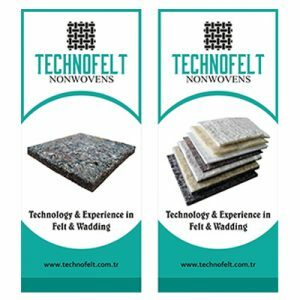 Non-woven production industry has reached to a certain position in Turkey and especially in Kayseri. Most of the European producers quit their production. That means that demand for Turkey has increased more. Additionally, the quality, transportation costs and longer lead times, rising costs of labor and materials and other problems encountered in the Far East, has turned the needle of attention to suppliers in Turkey. 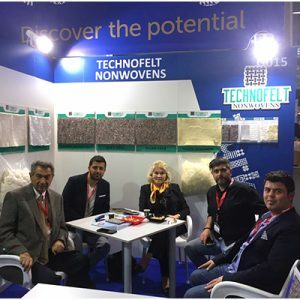 The growing interest of the visitors and companies shown to Turkish companies in Interzum Guangzhou 2017 fair in China was a good signal that producers of mattress, furniture and insulation have become more interested in our products. They expressed their intention for further talks. We have decided to participate in at least three international fairs annually, as a result of these growing market opportunities. Saudi Arabia, Czech Republic, Dubai, Egypt, Poland, Morocco, Algeria, England, Germany, Russia, Malawi, Holland and Rumania are our major export markets. Will you mention about the products that you exhibited in Interzum Cologne Fair? We exhibited some of our products including hard felt, thermo-bond felt, padded felt, wool and cotton pads. Besides, several pilot and sample products to meet the changing needs of our customers were there in the fair. What are your expectations for 2017 for your industry? Non-woven industry addresses to a wide range of customer portfolio. We consider that the year 2017 will be a very good period for our foreign trade activities. We expect 70 % increase in our exports by the year-end. 300 % of growth is also forecast especially in wool and cotton padding demands. What do you want to add more? We will be in Poznan Furnica 2017 fair as participant that will be held from 12th to 15th September. We invite all our buyers and visitors.